I love this time of year because we ponder as a church (local & universal) the nature of Christ’s person and incarnation. I’ve recently been reading through various early Christian texts, and the other day I came across a selection from a piece written by Gregory of Nazianzus in the fourth century (ca. 329-390). It struck me as a particularly gorgeous thing to read this Christmas season as we contemplate, celebrate, and worship Jesus. The following selection is Gregory’s Oration 29.20 The Mystery of the Incarnation: A Scriptural Tapestry of Jesus as Man and God. The English translation is Rodney A. Whitacre’s own found in his book A Patristic Greek Reader (Peabody, Massachusetts: Hendrickson, 2007), 244-246. Whitacre’s aim is to provide a wooden-ish but readable translation from the Greek text for students who are learning to read the respective Greek portions. Please note also that the scriptural citations I have placed in parentheses here on the blog are not my own but are footnoted in Whitacre’s volume. I mean, is Jesus not incredible?! Life can get pretty noisy and busy two weeks before Christmas. People in store aisles fight over toys (or, at least they do in the movies) and people in the church pews fight over what Christmas is really supposed to look like. BUT, even in the midst of all the noise Jesus is so fiercely compelling, isn’t He? He draws us into His life and He moves us forward, beyond the bickering and even our well-meaning but sometimes misguided sentiment and nostalgia. A forest full of white lights as big as Texas can’t hold a candle to Jesus. In the beginning was the Word, and the Word was with God, and the Word was God . . . In him was life, and the life was the light of men. The light shines in the darkness, and the darkness has not overcome it. This entry was posted on Monday, December 12th, 2011 at 1:01 pm	and is filed under Uncategorized. You can follow any responses to this entry through the RSS 2.0 feed. You can skip to the end and leave a response. Pinging is currently not allowed. That is gorgeously profound and wonderful to move our focus back to where it belongs. Thanks for sharing that Melissa! Absolutely magnificent! The writing, and Jesus! Love, love, love that. Worth meditating on till it sinks in real good 🙂 What a beautiful picture of our Savior! Melissa, you are helping us stretch and grow and study in a way that is absolutely awesome!! What a legacy for your anointed Mama!! What a joy she must feel to have raised up two daughters who will bring our younger generation of women to, not only, a new and broader understanding of God’s Word, but a pure LOVE of it!! 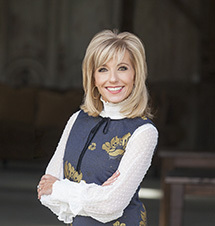 I have been in Beth Moore studies for years and now I’m loving both daughters……how good can it get? Praise to God for blessings that overflow through this ministry. I love your words always. I didn’t think it was possible for someone to writer deeper than myself…but you are deeper in so much more of an intellectual way than I. God balances where we need compliment:) love ya girl! Love this —-> A forest full of white lights as big as Texas can’t hold a candle to Jesus. How does one possibly comment further?! Thank you for taking the time to type this out, edit some and share! Absolutely fantastic! I am reading this at 6 am and what a way to start the day. Praise God we will never fully wrap our minds around the majesty and perfection of our LORD! Thank you, Melissa, for sharing this beautiful compilation of the glories mysteries of Christ from Gregory of Nazianzus. I’d never read this before, but I agree with you that it is a perfect time of year to stop and contemplate the gift of who He is. I wish a blessed Christmas for you and all of the Moore family. This is another post which presents opportunity for us to ponder the wonder of our God. Your posts are beautiful. May you sense the delight of the Father over you and your family. I LOVE this, Melissa! Thank you so much for sharing! This is just amazing, Melissa. Thank you for sharing this in the midst of this season ~ the parallels and paradoxes serving to help me worship my Lord more at Christmastime. Can’t wait to read it to my family soon! Wow…that’s pretty amazing. I could almost hear the voice of Dr. Tony Evans in the rythm of that writing. (even tho it was written way before him) Something about the ‘not only this’ part reminded me of his way of teaching. Jesus is amazing! Oh to know Him better and better. Thanks for spurring us in that direction Melissa. For I knwo the plans I have for you, “declares the Lord,” plans to prosper and not harm you, plans to give you hope and a future. Thank you Beth for the opportunity to do the scripture work. I have been going through some trials this past year and I realized this week that these scriptures I have hand selected each month have become a part of my story. I can’t thank you enough. Hey, Melissa!! This is awesome and an absolutely great way to approach Christmas Day! Thank you and have a beautiful Christmas … as you have already blessed mine. This journey of scripture memorization has truly added an element of joy to my life! It gave me a purpose for diving deeper into the Bible every other week and really trying to live out or learn from my chosen scripture. And for that I am a better person and I feel much more connected to the Lord. Thank you for leading me along the way! Thank you for posting this Beth, it was so inspiring and it blessed me greatly. Merry CHRISTmas to you and your family and staff! Oh, Melissa: so rich. It is as if we can hear that ancient Believer’s own thrill as he shares all these revealed truths of our Savior and Lord. It reminds me of another “genre” of such a cataloging of the characteristics of Jesus, the sermon by S. M. Lockridge “That’s My King, Do You Know Him?” (which one can hear on YouTube if you search that name and title–and it’s only a few minutes long). Thank you for the ancient reminder. That was absolutely beautiful and a wonderful reminder of who Jesus is and all that He has done for us. Thank you for this timely reminder which brings my focus right back where it belongs – on Jesus. Beautiful, Melissa! Yep, Jesus is incredible! Thank you for the reminder! I love this!! Thanks for sharing!!! Thank you. You brighten my day. I so love that you expose me to new thoughts and meditations. I got so excited that it was the last verse to memorize for this year that I forgot to post! LOL 🙂 This experience has really stretched me. I have been amazed at how God has used the verses that I memorized to continue to teach me or to be able to share them with others! Thank you for inspiring and motivating me to do this! Can’t wait for the celebration! Hallelujah!! HE BOUGHT ME BACK!!! I’m saved!!! That is just beautiful! Thank you. It would be interesting to see if this book, The Mystery of the Incarnation, is included in 25 Books Every Christian Should Read: A Guide to the Essential Spiritual Classics by Renovare. Thanks for sharing this information! That was wonderful to read and even better to research. Great alone time with Jesus and I just did a portion of it. I will continue it through the weekend. Glory to His Name. Jesus is so worthy of all honor and glory—we are compelled to break out in praise to the One True God!! Wonderful!!!!! Thank you for this great treasure!!!! Copied and pasted this to save it and share…thank you so much! Thank you so much for posting this passage. I know it is now after CHRISTmas, but it is EXACTLY what I need today, as I look forward to a new year serving my Jesus. This passage shouts HE IS ABLE to me!!! Thank you so much for taking the time to share this. I know this girl in MO really needed to hear it. Oh, to have the faith of the saints of old. Thanks, Melissa. I always learn something when you post.